Do you own a rental property? Are you a landlord? Is it worth using a letting agent? What does a letting agent do? Renting property can be a lucrative business, particularly over a long term. It’s something that more and more people are turning to in times when pension schemes and government pensions are not necessarily reliable. Many people have chosen to invest in ‘buy to let’ property as an alternative to a pension scheme. The down side of renting property is that it can be a bit of a roller coaster, particularly if you have a problem tenant, or patches where the house is empty. This is where a good letting agent can help you! It is in the interest of the agent to carry out extensive credit checks on your potential tenant – the agent wants to make sure they are a credible client. This will save their time in the long run, as well as yours. Verbal and written references should be obtained to ensure they are honest and trustworthy tenants. This can be a long and laborious job which is best left to the experts. The tenancy agreement is very important and must be right. This is what will be used in court should there be any problems. Any good letting agent will have a large database of potential clients looking for property and can sometimes match your property to a perfect tenant without advertising. If not, they will advertise your rental on all the usual national websites such as Rightmove. There are reams and reams of reports and government legislation relating to renting property, all of which must be adhered to by any landlords. This can be a bit of a minefield. Your letting agent will know this legislation like the back of their hand, so leave it to the experts. All rental properties are governed by strict safety guidelines. Your letting agent will make certain that your property is covered and will also deal with any emergency issues, for example, a flood or an electrical fault. This is a time consuming, but necessary report that stipulates the current state of the property and what is included. It ensures your tenants are not able to make false claims or damage your property without a consequence. Your letting agent will manage all the rent payments and sort out any arrears that may occur from time to time. They also keep a record of every single transaction and can provide you with statements should you need them. Your letting agent should deal with any payment issues, harassment problems, illegal squatters, damage claims and evictions. If things go wrong, it can soon become very stressful for a landlord, so it’s best to leave it to your agent. A bad tenant can literally make a landlord’s life a misery. Your letting agent will offer you support and advice when you need it most, and you won’t feel alone if you should have to enter in to any battles with ‘rogue tenants’. We recommend that you make sure you choose a well-established and reputable agent who has a proven track record. Always check the contract to see what you are entitled to as part of your contract. Do you currently use a letting agent? How do you find them? Are you an independent landlord? 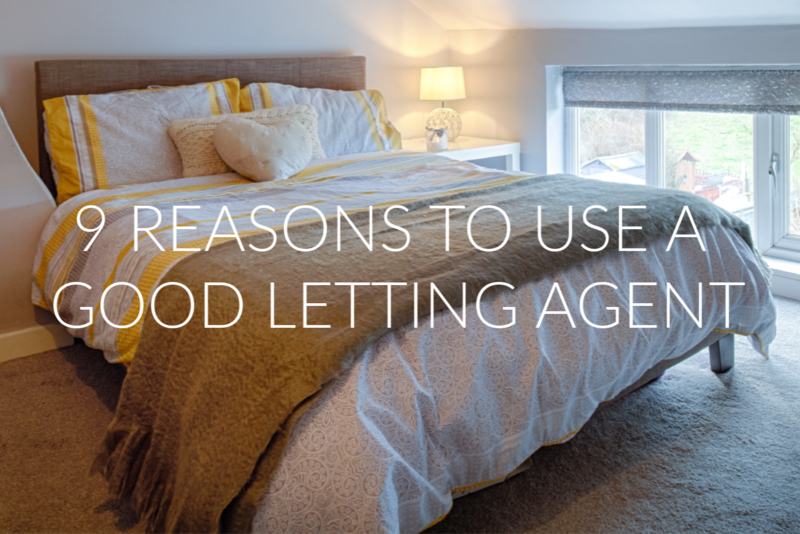 Have you ever considered using a letting agent? Do you have any advice or stories you would like to share? If you would like an independent assessment if whether you need a letting agent to manage your property, please give us a call 0161 871 7071.